The Tennessee Baptist Missionary and Educational Convention, Inc., was organized in 1872, and early records refer to women who met as “auxiliaries” in the Convention and in the Associations. Therefore, while there is not definitive record of the year in which it was organized, it appears that the Women’s Auxiliary began its work at almost the same time as the parent body to which a report was made at the close of each meeting. As the Women’s Auxiliary carried out its work through an elaborate organizational and committee structure, before the turn of the century the names of Mrs. Virginia Broughton, Mrs. E. Hamilton, Mrs. Mary H. Flowers of Chattanooga, Mrs. Frankie Pierce of Nashville, Mrs. Florence P. Cooper of Memphis, Mrs. Daisy E. Harvey of Memphis, Mrs. E. M. Lawrence and others were prominent in State work. Later such leaders as Mrs. William Hanes, Mrs. C.A. Bell, Mrs. E. M. Seymour, and Dr. Fannie M. Kneeland became pacesetters. More recently, Presidents of the Women’s Auxiliary have included Mrs. Ida H. Williams, Mrs. Willa A. Townsend, Mrs. J. C. Woods, Mrs. C. L. Freeland, Mrs. Bertha L. Estes, Mrs. Fannie L. Spence and Mrs. Beulah M. Williams. 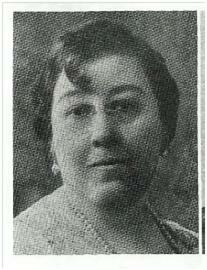 The Women’s Auxiliary was blessed with such able Bible teachers as Mrs. Dixie Fuller, Mrs. W.S. Ellington, Mrs. Edna Bronson, and Mrs. M. J. Owens. In 1933, young married women were organized as Junior Matrons. They served as a strong link between the girls of the Red Circle and the Matrons of the Missionary Society. 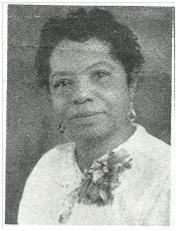 Mrs. E. T. Brown was the first President and promoter of this program. 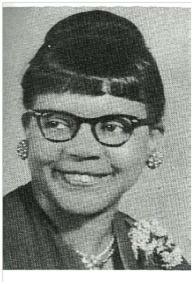 Mrs. C. L. Freeland of Dyersburg was elected President and served from 1965-1969. 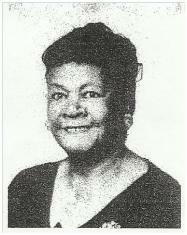 Mrs. Bertha L. Estes of Memphis was elected President and served from 1969-1973. During her administration the Young People’s work was organized to include social activities and a Queen’s contest, a beautiful pageant and contest through which funds were raised for scholarship purposes. The President of the Young People’s Department, Mrs. Ola Mathis of Humboldt, and Mrs. Doris Price of Jackson, State Director, spearheaded and directed the pageants. 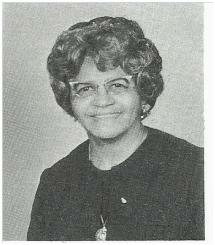 Mrs. Fannie L. Spence of Chattanooga served as President of the Women’s Auxiliary of the TBM&E Convention from 1973 to 1977. Under her leadership the Women’s Auxiliary continued its onward march toward greater heights through the addition of several “firsts” that were significant. Bylaws were written to serve as a guideline for workers. Three thousand women of our TBM&E Convention registered in the first directory that was published by the auxiliary. For the first time an experiment was conducted with a Field Workers’ Program that promised to increase the number of participating churches and to improve the Missionary Society work of cooperating churches. Mrs. James Lindsey of the Eastern Region and Mrs. Susie McClure of the Middle Region were appointed in 1975 to launch a campaign for more and better Missionary organizations in the Convention. Mrs. Emma Bond and Mrs. S. H. McVay, who had worked in the Western Region as Field Workers for years continued their services. The Auxiliary continued to strive under President Spence. A State sponsored workshop was conducted in each region during 1975 under the direction of Mrs. Beulah M. Williams, the State Vice-President. The purpose was to inspire, motivate, inform and train leaders and prospective leaders. Nearly 200 women determined to go forth from the workshops and learn more, be more, and do more for the promotion of God’s kingdom. The workshops became an integral part of the State Women’s work. 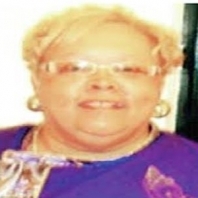 ​ Conferences of District Presidents, Conferences of Local Presidents, and Conferences of leaders and prospective leaders of Young People’s Work were instituted during the tenure of Mrs. Beulah M. Williams of Memphis, which began in 1978-1981. In 1979, a decision was made not to require young people to raise money for scholarship purposes. The Eastern Region conducted “Caravans” which emphasized taking information and activities of the Convention to District Associations in outlying communities. 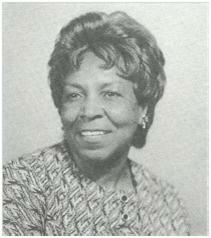 Mrs. Mary R. West of Knoxville was elected President from 1981 to 1985. She had served as the Eastern Region President for twelve years. She appointed Mrs. Alice Lindsey of Knoxville and Mrs. Willie C. Lewis as secretary and coordinator of committees respectively. 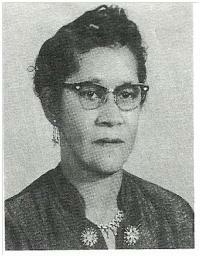 The Convention elected Dr. Vivenna H. Salley as Vice-President to Mrs. West. Dr. Salley’s efforts are planted firmly in Tennessee Baptist Work; she was the successor to Dr. Charles H. Fitzgerald as chairman of the Department of Christian Education at American Baptist Theological Seminary. For a number of years she held that position during the Seminary presidency of Dr. Maynard P. Turner, the Convention’s first Executive Secretary. During the Convention’s Annual Session in 1984 in Knoxville at the Canaan Baptist Church, another first was added to Vice-President Salley’s long list. She delivered the theme address for the Parent Body. Dr. Kenneth “Twigg” Whalum, President of the Convention presented Dr. Salley to the overflowing crowd as “an educator, an ordained minister, a wife and mother, a woman of renowned respect for leadership and a good follower. The women of the Convention were deeply involved in special efforts for the Spiritual Enrichment Center in Castalian Springs, Tennessee. Presidents from three regions spearheaded financial efforts under the capable leadership of Ms. Zenobia Toney, Ms. Emma Duncan and Mrs. Bernice Sullen. The Convention was successful in retiring the debt on the Castalian Springs land. This land was dedicated and will be used for the Spiritual Enrichment Center. The women of the Convention as well as others worked toward making these 127 acres an area of spiritual and cultural growth for our young people, today and for future generations of Baptists to come. 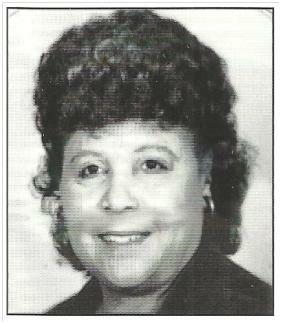 Dr. Vivenna H. Salley of Memphis was elected President of the Women’s Department in 1985. The Convention also elected her the first Director of Christian Education and Evangelism. After she returned from a trip to Africa in 1986, she met with her Executive Committee and other key workers and presented a four-year program for their approval and modification. She gave the women a vivid description of the needs of the people she observed while on the mission field in Kenya. The women caught the vision and immediately set in motion plans to defray the expense of digging wells in Kenya so the people could have water near their homes. Mrs. Anne Oglesby and past President Mary West co-chaired a foreign mission platform. A home mission platform was also formed under the chairmanship of Mrs. Mary Webster and Mrs. Fannie Spence. In 1986 the first Presidential Awards for Meritorious Service was given to Mrs. Mary R. West and Mrs. Fannie L. Spence. That same year, the Women’s Auxiliary sent $1,000 to Mombasa, Kenya, East Africa to assist with the digging of the wells. Various groups connected with the Auxiliary and sent additional offerings for this effort. The Vice-President at that time was Dr. Susie McClure, a long time worker and supporter of State work. 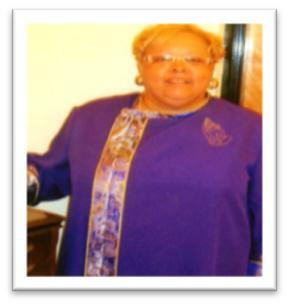 Ms. Zana M. Holmes served as secretary. She brought to that office a wealth of secretarial knowledge and related skills. 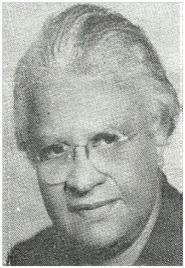 Because of failing health, Mrs. Emma Duncan resigned as Vice-President of the Middle Region and Ms. Irene Smith replaced her in that position. 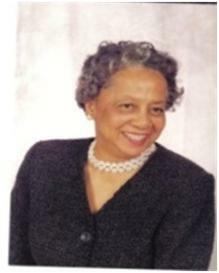 Dr. Salley served from 1985 to 1989. Dr. Susie McClure of Nashville was elected President from 1989 to 1993. She was serving as Foreign Mission Chairperson of the Women’s Department of the National Baptist Convention, USA, Inc. As President, she continued the upward and onward thrust as the preceding presidents pushing further in the work of the Convention. During her tenure she traveled to Africa to our missions there, working and spreading the good news as she traveled with Dr. William Harvey, III. She gathered robes for the ministers in order for them to be dressed properly when the African Ministers Convention met in Malawi. Locally, she helped to organize missionary societies, involving them in the prison ministry at the State Correctional Systems. 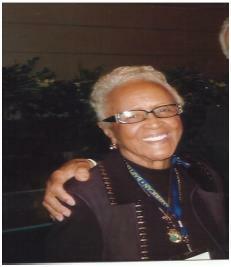 Dr. Bernice Sullen of Memphis was elected president and served from 1994-1997. The theme during her tenure was “Making Every Home a School of Christian Education.” The Annual Day of Prayer was started under her administration. Souls were saved and families united at several of the sessions. Three delegates from the Women’s Department traveled to Kenya, South Africa accompanied by Rev. J. T. Freeman. Dr. Eleanor Cartwright-Muirhead of Hendersonville was elected President and served from 1998-2001 under the leadership of Dr. Herman A. Powell, President and Reverend Edward S. Robinson, Vice-President At Large. 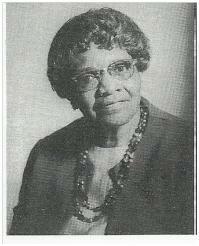 Her administrative staff members were: Mrs. Betty McFarland, Vice President, three Regional Vice Presidents, Eastern, Mrs. Alice Carroll, Middle, Mrs. Sarah Forge, Western, Mrs. Hazel Strickland; President of Ministers Wives & Widows, Dr. Josephine Searcy; Recording Secretary, the late Mrs. Willie Farley; Director of Christian Education, the late Mrs. Polly Walker; Special Projects, the late Ms. Bonnie Dozier; Out-Reach Ministry, the late Mrs. Millie Henley; Treasurers, Savannah Cooley and the late Mrs. Jessie Jones. During her tenure the women ignited the Convention with a Woman on the Move Evangelistic Program and Worship. The third Monday in May in each year we would meet in one of the Regions, where 400 or more would attend and we had great support from all the pastors and the local District Women’s Department Presidents. Dr. Betty McFarland from Elizabethton was elected President from 2002-2005. 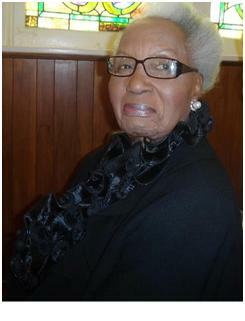 She served under the presidency of Dr. Edward S. Robinson three years, and one year with Dr. Dennis Blalock. Her goals were to be better prepared Christian Women bound together with a strong cord. A Wednesday Fellowship Luncheon and Thursday Prayer Breakfast were held to further promote fellowship and establish a time for prayer among the messengers at the Convention. In 2005, Mrs. Rose Luckett, Ms. Arlene B. Peck, Ms. Sarah Forges, Mrs. Rosa Means, Ms. Armentha Eskridge, and Mrs. Mary Isaac, Secretary, updated and printed The Women’s Auxiliary Directory.